Norway’s soldiers are getting some brand new undies—and they’re eco-friendly, to boot. The Norwegian Armed Forces has placed a massive order of some 50,000 organic-cotton bras, boxer shorts, undershirts, and pants with Frøya Trøya, a military outfitter that made the switch to organic-only fibers in 2009. “We have pretty good capacity, so we can do it,” Camilla Køhler, the company’s managing director, told Verdens Gang, a local newspaper. All of Frøya Trøya’s wares are Nordic Ecolabel—or “Swan”—certified, meaning they adhere to more than 60 criteria involving water, energy, and chemical use. Although the fresh undergarments will cost more, the outlay isn’t a substantial one, according to Simen Rudi, a member of the armed forces’ logistics division. More important? The level of comfort they’ll afford. 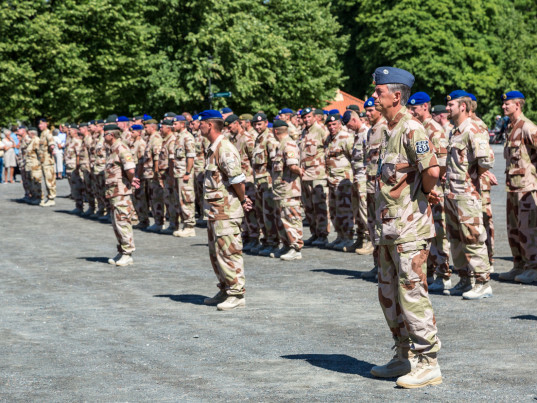 A representative from Oikos, a Norwegian consortium of organic producers and consumers, praised the army’s move to sustainable clothing. Norway's soldiers are getting some brand new undies�and they're eco-friendly, to boot. The Norwegian Armed Forces has placed a massive order of some 50,000 organic-cotton bras, boxer shorts, undershirts, and pants with Fr�ya Tr�ya, a military outfitter that made the switch to organic-only fibers in 2009. "We have pretty good capacity, so we can do it," Camilla K�hler, the company's managing director, told Verdens Gang, a local newspaper. All of Fr�ya Tr�ya's wares are Nordic Ecolabel�or "Swan"�certified, meaning they adhere to more than 60 criteria involving water, energy, and chemical use.